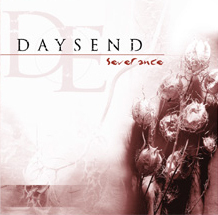 Daysend (pronounced days-end) is a melodic thrash metal band based in Sydney, Australia, assembled in 2002. Their debut album, Severance, was released in the year following their foundation. The members of the band all came from well-regarded underground Sydney metal bands. Bass player Meredith Webster and original drummer Matt Lamb were from Psi.Kore, who released an EP in 2000 and toured widely throughout Australia. Guitarist Aaron Bilbija had a long list of former bands attached to his name, including Depression and DeadSpawn (a band that also featured original vocalist Dave Micallef, who left before Daysend ever played live) and brief stints with Infernal Method and Psi.Kore. Drummer Wayne Morris also played in Depression and Deadspawn with Bilbija, guitarist Michael Kordek had been a founding member of Automation and singer Simon Calabrese was formerly with nu-metal bands Inequity and Redsands. The band already had a strong reputation to live up to then and before long they had established themselves with a string of supports to international touring bands including Strapping Young Lad, Entombed, Slipknot, In Flames and Shadows Fall. 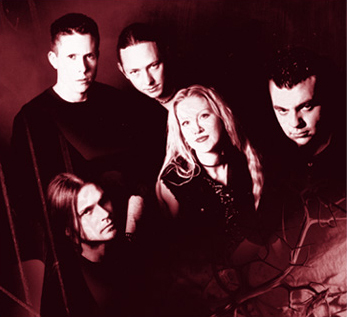 The Severence album was popular among metal music fans and was voted Best Australian Metal Album in a Triple J listeners poll in late 2003, an honour it shared with Renascent Misanthropy by Brisbane black metal band Astriaal. Kordek left the band in early 2005 and was replaced by Andrew Lilley, another journeyman guitarist who has played in Psi.Kore, Infernal Method and Atomizer. This line-up toured the US in mid-2005 to wild acclaim. On their return to Australia, Lilley left Daysend and Kordek returned to the line-up. In May, 2006 vocalist Simon Calabrese departed from the band. The new vocalist found within this same this is named Mark McKernan.